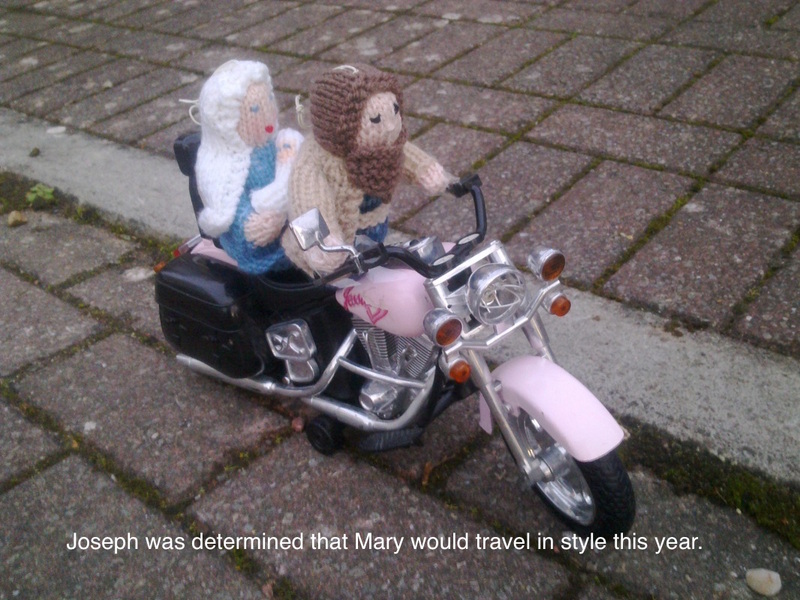 Joseph was determined that Mary would travel in style this year. 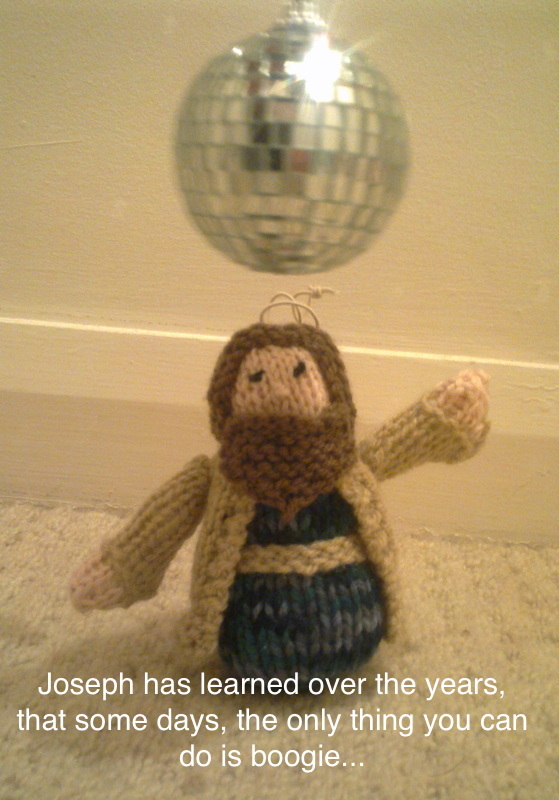 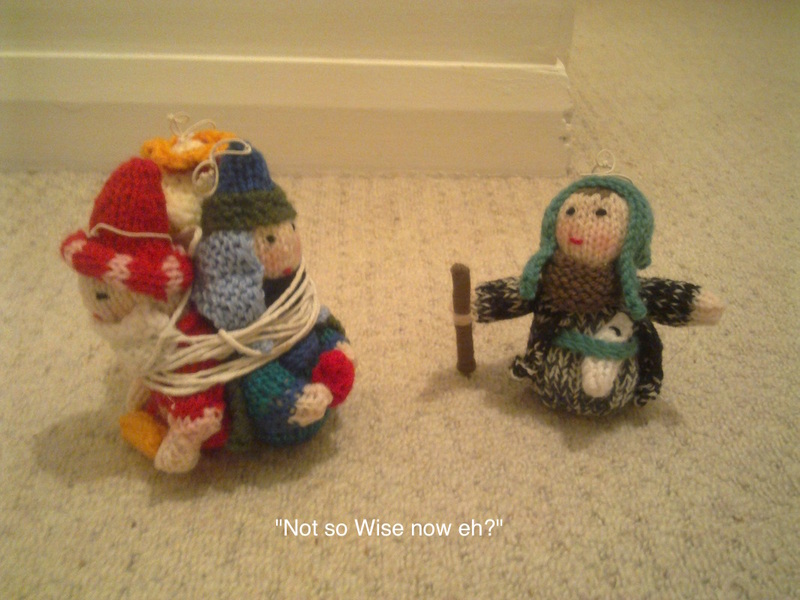 Today there is friction amongst the Knitivity…. 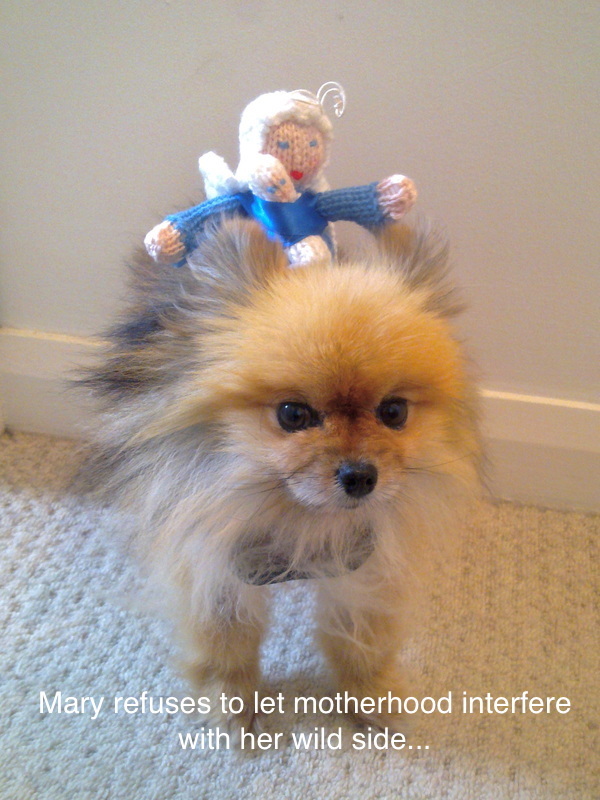 Mary wants to know why it is always she who is left holding the baby? 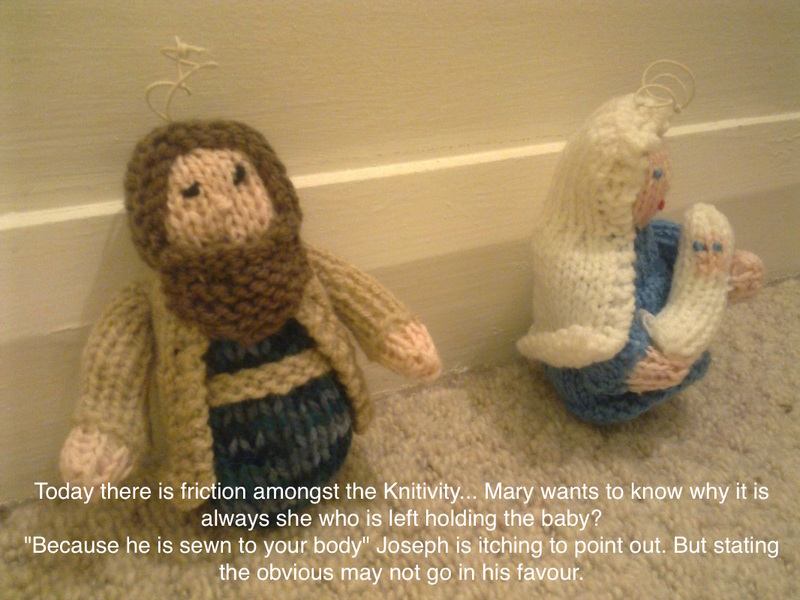 “Because he is sewn to your body” Joseph is itching to point out. 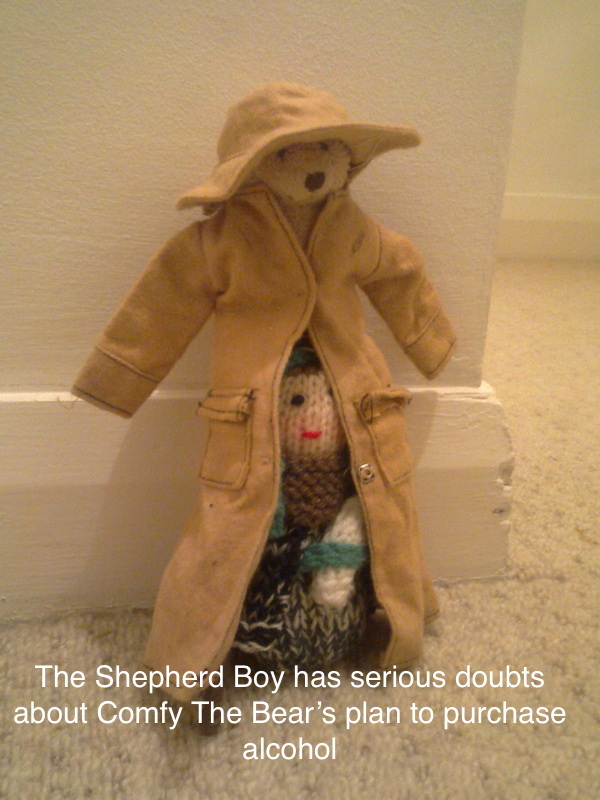 But stating the obvious may not go in his favour. 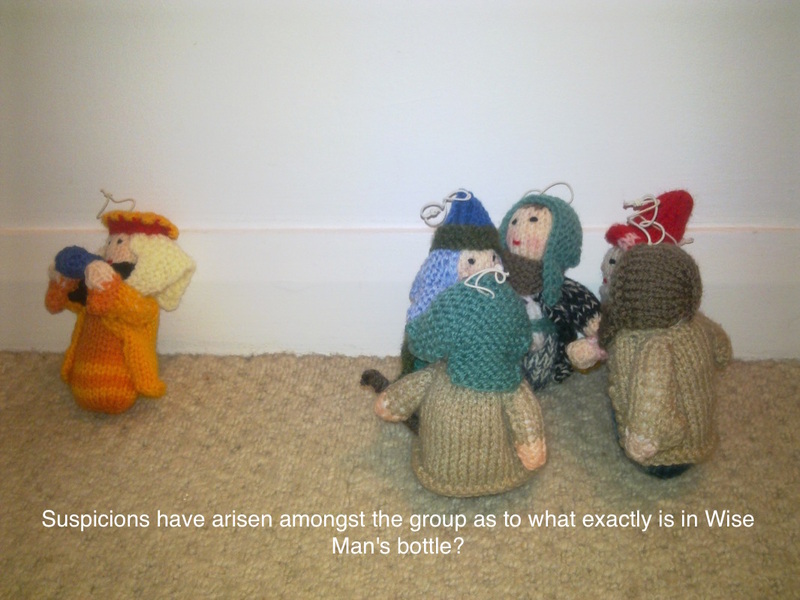 Suspicions have arisen amongst the group as to what exactly is in Wise Man’s bottle? 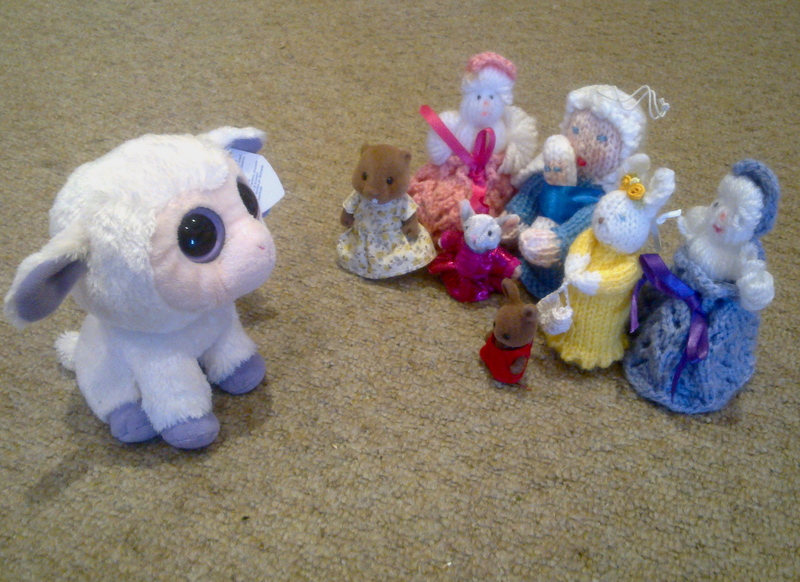 Mary refuses to let motherhood interfere with her wild side….